Home » Blog » What Are PAYG Instalments And Who Needs To Pay Them? What Are PAYG Instalments And Who Needs To Pay Them? You must have often heard about the term PAYG instalments in your professional dealings, or as a business owner, or from several bookkeepers. The abbreviation stands for Pay As You Go (PAYG) and the instalments are a system for making regular payments towards your expected yearly income tax liability in Sydney. It is applicable to those individuals and trusts that are making an income from a business and/or an investment which is $4000 or more. It basically assists in meeting the income tax obligations of people and businesses. 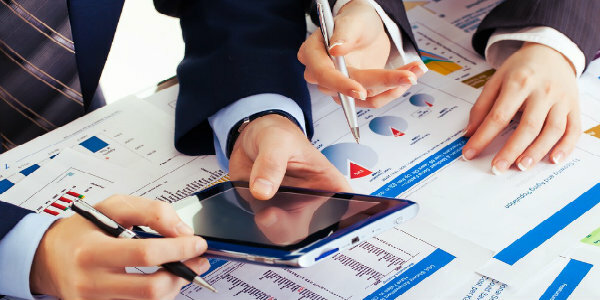 If you hire a professional bookkeeper in Sydney, he/she can take care of this responsibility, which needs to be reported in the business activity statement (BAS). Paying these instalments does not mean that you are exempted from the tax. You do have to pay the yearly tax return in the usual manner with the help of your bookkeeper. It is quite easy to manage the PAYG obligations by creating a myGov account which is linked to the ATO website. If you think that you do not have the time to view and pay the instalments online, you can take help from seasoned bookkeepers who can take up this responsibility and do the needful. Who Is Required To Pay The PAYG Instalments? The Australian Taxation Office (ATO) informs an individual if he/she is liable to pay the PAYG instalments or not. They take the responsibility of sending across an activity statement or an instalment notice if you are required to make the payment. The ATO takes the decision by evaluating the information submitted by your bookkeeper in the most recent income tax return. Individuals or trusts have to pay the instalments if they have reported their gross business or investment income to be $4000 or more in the last tax return filed by their bookkeeper. The threshold for non-residents is $1 or more. The PAYG instalment is not applicable to you if the tax payable on the latest notice of assessment is below $1000, or the notional tax is lower than $500, or you are eligible for the seniors and pensioners tax offset. The bookkeeping companies in Sydney inform their clients about all these criteria. Whether you are in Randwick, Parramatta or Chatswood, you need to follow the obligations to avoid penalties. In case you are a company or a superfund in Sydney, you will have to pay PAYG instalments if the instalment rate calculated by the ATO is above 0% and the notional tax is $500 or above. A company or super fund also needs to pay if the instalment income incorporated in the latest income tax evaluation is $2 million or above, or if you are the head of a consolidated group. Your bookkeeper will keep you updated about the requirements depending on your circumstances and avoid the risk of delayed payment. Please note that notional tax is an estimate of your tax payable without including the capital gains tax. Employees in Sydney do not have to worry about PAYG because the taxes are withheld from their salaries routinely. You automatically become a part of the PAYG instalments system after your bookkeeper files the tax return in Sydney which indicates that a business or investment income is higher than $4000. 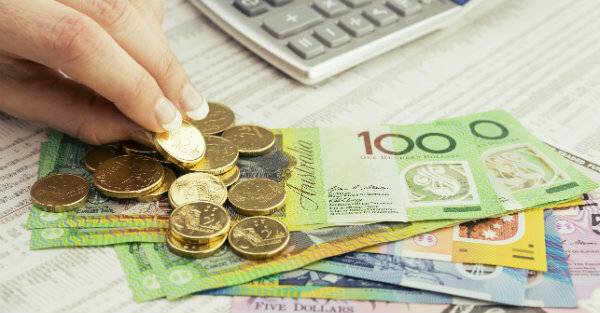 You can also willingly opt to enter the system if you are in Parramatta, Randwick or Chatswood and believe that you will be making a profit from your estimated business or investment income after the applicable tax deductions made by your bookkeeper. When you voluntarily enter the instalments system, you happen to reduce the probability of paying a huge tax at year end. It is usually a good decision if you have just started out as a business owner. Your bookkeeper will assist you in calculating the amount of PAYG instalments to be paid. If you are making the payment on your own in Sydney, you can utilise the PAYG instalments calculator to arrive at the figure or utilise the service of your bookkeeper. There are different calculators for individuals, companies and super funds, so choose accordingly. The ATO keeps track of your situation and removes you from the instalments system automatically if you no longer meet the entry thresholds. When your bookkeeper calculates you instalment amount, they will help you in making changes to the amount if it is too much or too less for the year. For this, the bookkeeper will first calculate the tax on your business or investment income in Sydney and then use the PAYG instalment calculator to decide on the variation in the amount. If you are trying to alter the amount on your own, you must consider the fact that the instalment must be comparable to the tax payable. If the varied instalments are lower than 85% of the total tax payable for the fiscal year, then you will have to pay the general interest charge on the difference. So take your bookkeeper in confidence before embarking on the instalments payment journey. When Does The Payment Take Place? The instalments are usually paid every quarter. However, you can opt for a yearly payment or go for the twice a year payment. In some cases, a few businesses have to make monthly payments. The ATO informs you about the payments and the options to make them. You must ensure that before your bookkeeper files the tax return, you must pay all the instalments amounts and submit the activity statements or the instalment notices if needed. The ATO sends the activity statements or the instalment notice to you before making the payment of the PAYG instalments. The statement must include all the information of the income and must be managed by a professional bookkeeper. If you have employees in your Sydney organisation, you are required to withhold taxes and before that register for PAYG withholding. The withholding is a legal responsibility to keep a part of the payment you make to your employees, contractors and other businesses. This withheld payment is then submitted to the ATO by the employer with the help of a bookkeeper. This means that you do this on your employee’s behalf in Sydney, so they can make a claim against the amount withheld at the end of the fiscal year. You will have to provide the documentation of the withheld amount and its payment to the employees, and submit a PAYG withholding payment summary annual report to the ATO. A bookkeeper comes handy in preparation of this report. The process is quite simple and can be understood by gathering information online from the ATO website. If you find the information to be too confusing, and you are not sure about the instalment amount you have calculated, you must hire a professional bookkeeper to assist you in the process.